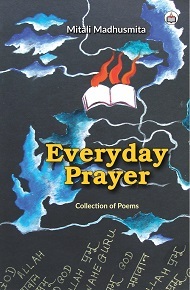 A collection of short fifty poems, written over a period of thirty years, this book is the author’s first. Each poem is drawn from her personal experiences and though some of them date back several years, they remain eternally relatable. A good song is one which resonates in the hearts and minds of its readers. It is hoped that the lines would sound a chord in the hearts of some readers. Born in the year 1965 to Sitakant & Basanti Mahapatra in Cuttack, Orissa, the author was raised in a large joint family. After completing Post Graduation in History from Utkal University, she joined the Indian Revenue Service in the year 1988. She has served in the cities of New Delhi, Pune, Bangalore and Bhubaneswar in different assignments. She is holder of MBA (Public Services) degree from the University of Birmingham. She took a sabbatical from government for two years for undertaking a study on Indo-US trade relations, while she was based in Washington DC. Presently she is working as Director General, Central Economic Intelligence Bureau (CEIB) under the Ministry of Finance. She lives with her husband, who is a fellow IRS Officer and three children at New Delhi.